2019 Rugby World Cup global repechage is taking shape after last weekend's first leg playoffs across the World as well as Africa Gold Cup. Samoa took a giant stride towards Pool A at Rugby World Cup 2019 following a comfortable 66-15 first-leg play-off victory over Germany in Apia on Saturday. The loser of the game, likely to be Germany, will head to the global repechage set for November. Hong Kong will take a 23-point advantage into the second leg of their Rugby World Cup 2019 play-off with the Cook Islands with a place in the global repechage within touching distance. They won 26-3 on Saturday. The winner of the home-and-away play-off will join Canada(who lost in America's qualifiers to Uruguay and USA) and two other teams(likely to be Germany and Africa 2) in the global repechage tournament in November which will determine the 20th and final qualifier for Japan 2019. A third straight win puts Namibia in total command at the top of the standings with 15 points and on course to qualify directly for Rugby World Cup 2019 as Africa 1. 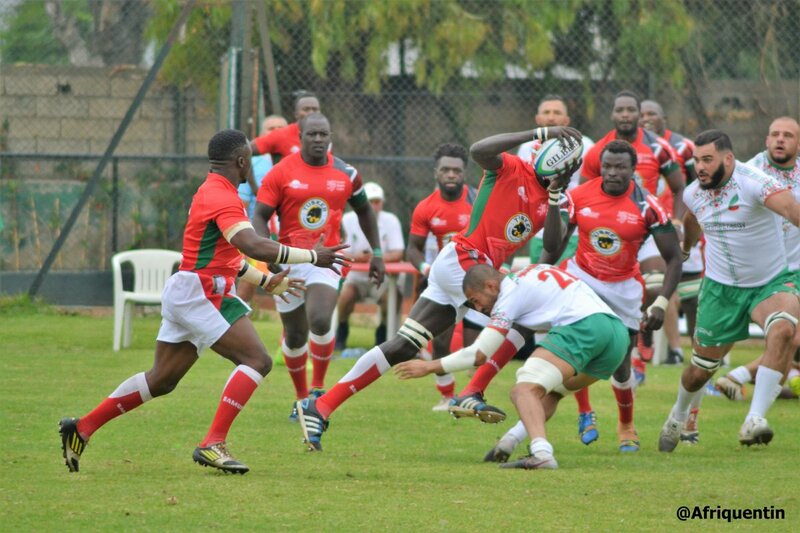 As it stands, Namibia would qualify for the World Cup while Kenya Simbas would head to the repechage. In previous years the Repechage, a last-chance opportunity to qualify for RWC 2019, has followed a knock-out format in line with the rest of the qualification process. This year’s edition, however, will be a round-robin tournament between four teams to be held in France during the November test window. Specific dates and locations are to be confirmed. The ranking format for teams in the Repechage has yet to be confirmed. While wins will be the primary determinant of who earns World Cup qualification, tie-breakers such as bonus points, head-to-head results, or points differential could all come into play. The successful qualifier will be the 20th, and final, participant to qualify for RWC 2019. This country will play in Pool B, joining Africa 1, Italy, New Zealand, and South Africa.